Probably not, but we both know I'm going to! I really think I'd be ok in life with three cake recipes. A good butter cake, a perfect chocolate cake and a yummy strawberry cake could get me through most situations. Don't get me wrong, I love trying all of the recipes and flavors I can. I mean, do I look like somebody who says no to cake?! Spoiler alert: I do not say no to cake. Are you kidding me? I thought a delicious caramel frosting would be the way to go. I think I might be going through a phase after the rolo poke cake! Now I happen to have two caramel frosting recipes on the blog already. One is made with brown sugar and is perfect on Di's banana cake. The other caramelizes granulated sugar for a traditional Southern style caramel cake. Both are delicious, but neither were what I had in mind. So I took elements of those and added a nod toward German chocolate cake. Of course a bit of cream cheese never hurt a frosting, so I added some of that as well. The result was even better than I had imagined. This frosting is so smooth and creamy. It is just sweet enough with those warm caramel tones. The best part is the texture. It is almost like the caramel version of my shiny fudge frosting in that respect. It's got a little bit of sheen to it and spreads like a dream. While completely unnecessary, I couldn't help but to toast some coconut flakes and sprinkle them on top. I guess I was still feeling inspired by German chocolate cake. This frosting is one of my new favorites! 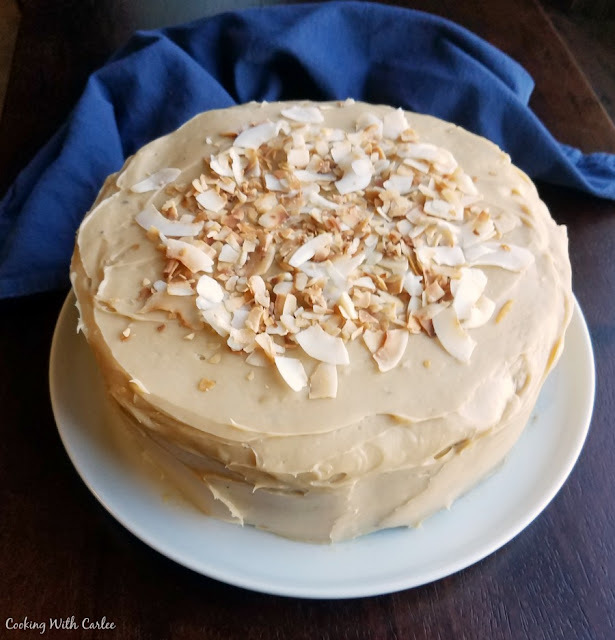 But if you are looking for other sweetened condensed milk frosting ideas you can try my chocolate sweetened condensed milk frosting or sweetened condensed milk buttercream! You know I'm always ready to try more frosting recipes. What are your favorites? You need not say more...I'm SOLD!!! I love sweetened condensed milk and well, any way to use it makes me happy. This looks scrumptious!! Fabulous recipe! 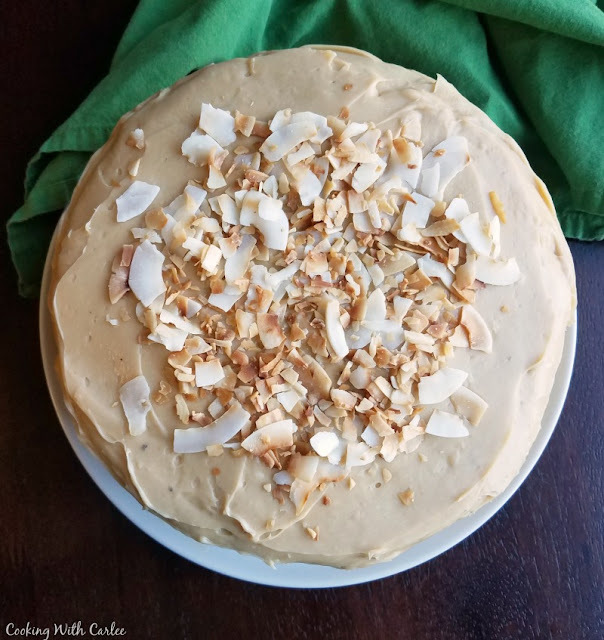 Lets talk about our love for sweetened condensed milk over a slice of cake! YAY!!! I am so glad you enjoyed it! This was a HIT! Pure yummy goodness! It just adds that little bit of richness, don't you think? I hope you enjoy it, Deepika! A frosting recipe. I'm loving it. It is all about the frosting for me too. This looks like a nice thick frosting and like you said, it looks like it is a dream to spread. Thank you for sharing. Every time I think I am going to post fewer sweets a frosting recipe comes to me and I can't help it! This one is definitely a fun one. Thanks, Amy! I've always been partial to chocolate frosting but I think this is my new favorite. YUM! It would be sooooo good on my favorite yellow cake :). Have a great week, Carlee! This frosting looks divine and sounds delicious! 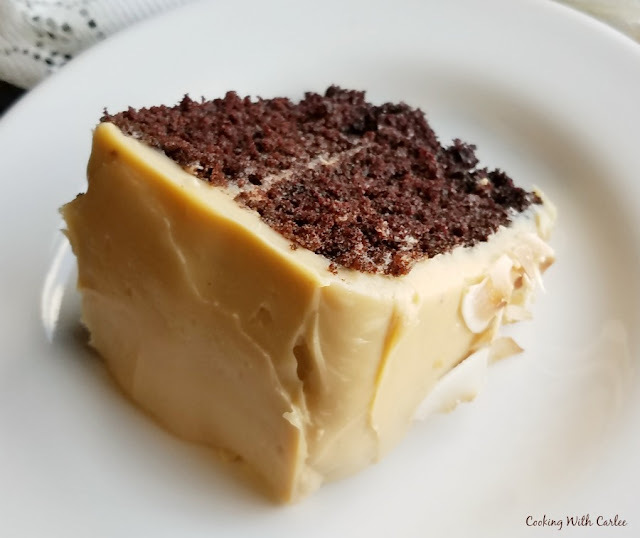 I love caramel frosting and German chocolate cake is my favorite! It is so creamy and good! I think you'll love it! I am totally making this for my next cake!! I hope you love it! I am trying to come up with a good excuse to make it again ASAP! Your recipe sounds delicious but how could it not be with sweetened condensed milk and cream cheese. Thank you for sharing at Snickerdoodle. It's hard to go wrong with those two together, isn't it? Thanks for hosting! Ok I'm drooling and can't wait to make this now. This will have to forever take the place of buttercream! Yum. Thanks for sharing this week at the Friday Frenzy Link Party. It would definitely be my choice! Thanks so much for hosting! That looks fantastic! 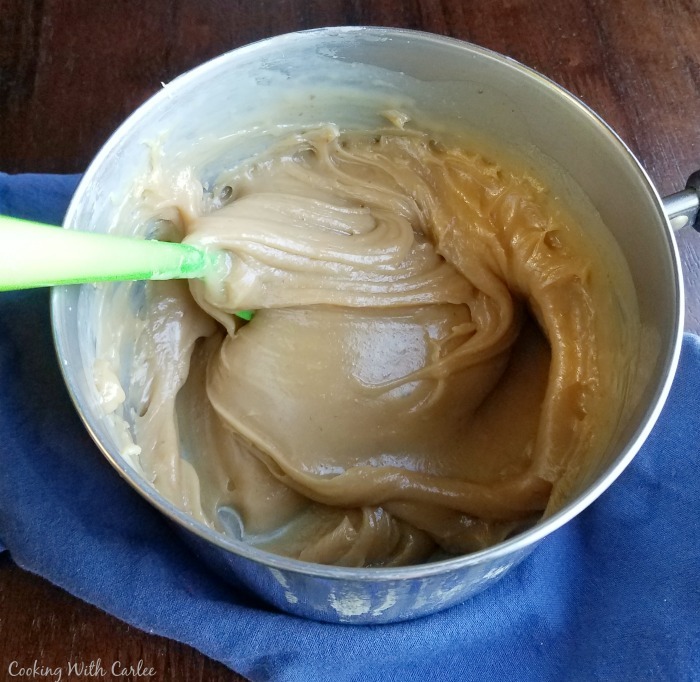 I love caramel frosting and this looks so rich and creamy! I do too and this one definitely has that creamy texture the other's I have tried were lacking. I hope you give it a try! 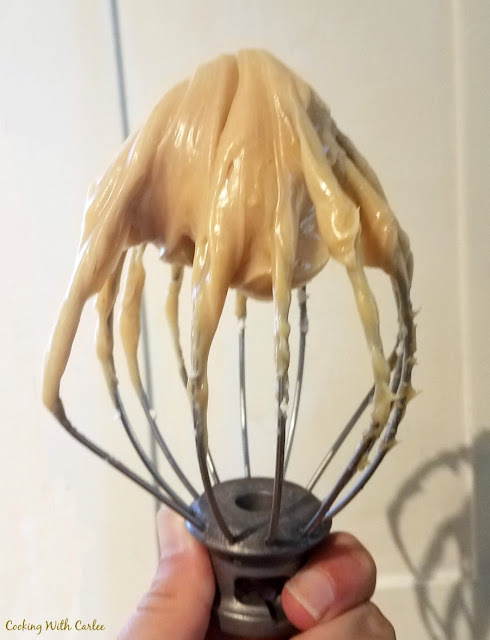 This Caramel Frosting will be delicious! Thanks so much for sharing your awesome post with us at Full Plate Thursday. Have a great week and come back to see us real soon! I would pick off pieces of the coconut and get a finger swipe of the frosting each time I passed this cake. And I wouldn't blame you one single bit! I was over drooling on this the other day and forgot to tell you how amazing this looks! I've never made a sweetened condensed milk frosting before, but I am certainly going to be trying this soon! Congratulations on the feature on Sugar, Spice and Family Life. Hi Carlee, I have no idea how I missed this recipe. I can see Mum enjoying this on vanilla cake... Perfect! That would be a lovely combination! Yum! Is this stable enough to pipe? does it do well in warm weather? You would probably want to beat in a bit of powdered sugar before you pipe it. I wouldn't keep it in the heat for too long due to the cream cheese. Hello Carlee: Hubby won't eat Cream Cheese, would replacing it with Greek Yogurt work, you think? I'm not sure that greek yogurt would be thick enough to make a frosting that will stay put. You could possibly try using an extra stick of butter and maybe a tablespoon or two of greek yogurt to give it that creamy feel and taste. Let me know how it goes if you give it a try!